Joining with the Louisiana State Police and Terrebonne Parish Sheriff’s Office, the Houma Police Department rounded up 18 drug suspects Wednesday. HOUMA, La. 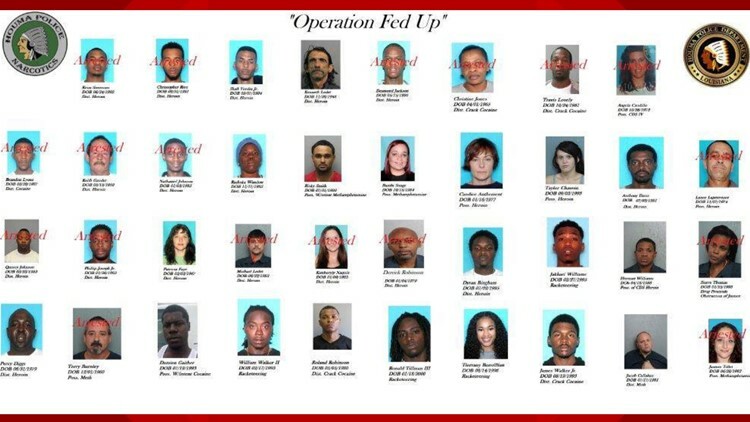 — Authorities arrested multiple suspects in Houma as part of Operation Fed Up, which targeted the local opioid epidemic, police said. Joining with the Louisiana State Police and Terrebonne Parish Sheriff’s Office, the Houma Police Department rounded up 18 drug suspects Wednesday, authorities said.